. Oil on canvas. 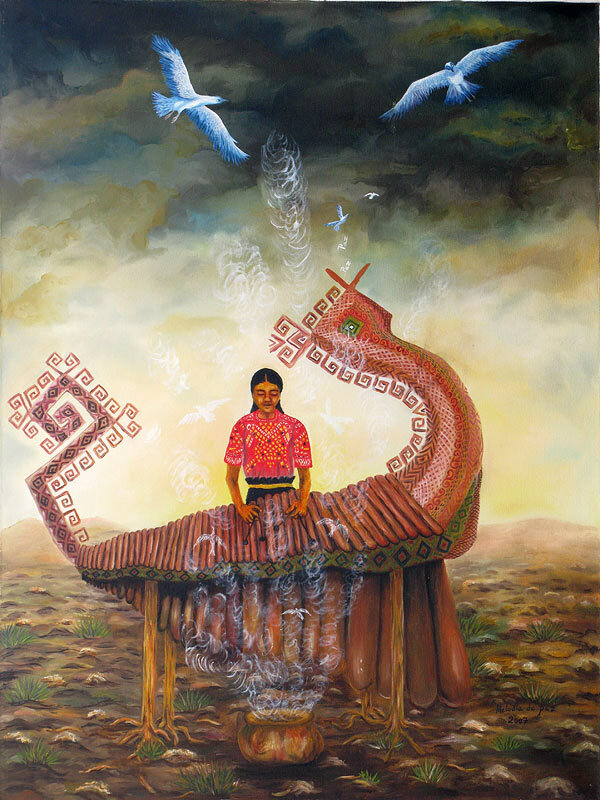 2007, 32"h. x 24"w.
. [Song of Peace] The 2009 Arte Maya calendar featured this painting in February.